Did you know that J.R.R. Tolkien lived in Leeds for 5 years? 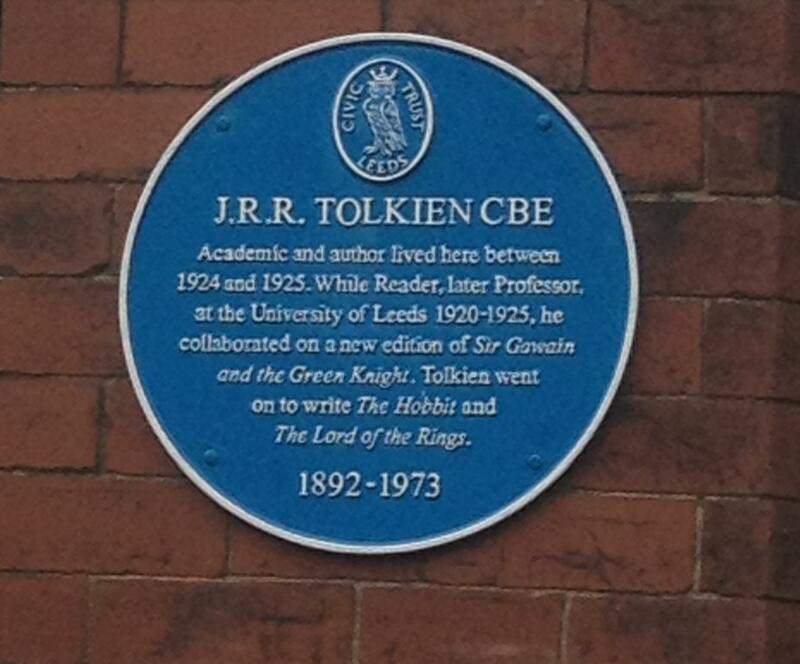 From 1920-1925; Tolkien held his first academic position at the University of Leeds. It was during this period that he co-released Sir Gawain and the Green Knight – for many the definitive academic piece on this topic. Though his time at the university was brief; he had already advanced to Professor by the time that he relocated to Oxford to take up the Rawlinson and Bosworth Chair of Anglo-Saxon. For the final year of his sojour in Leeds; he and his family lived at No 2 Darnley Road, West Park – indeed, his youngest son Christopher was born here. 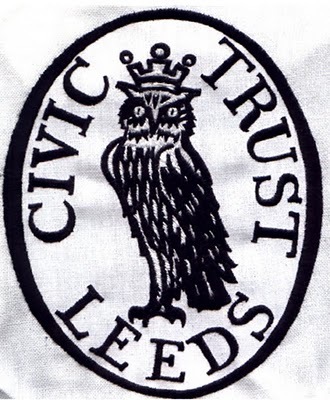 Yesterday – Monday the 1st of October – a Blue Plaque was unveiled at this address arranged by Leeds Civic Trust (with sponsorship from a variety of places)by Dr Kersten Hall – a visiting Fellow at the University of Leeds; who spoke eloquently about the author and city. The rain just held off and it was lovely to see members of the Tolkien Society – many of whom had traveled from around the country to attend. After the unveiling, Weetwood Hall hosted a reception with refreshments and a chance to chat. I had been invited to attend by the Tolkien Society who were aware of a visit that Daragh Corcoran of BBC Radio Leeds and I had madeto the house last year. We had agreed that a Blue Plaque for Leeds would ensure that Tolkien and his works can truly be regarded as national treasures. It was an honour to be part of a day that marks a literary icon and his links to Leeds. Just so you know – this is an actual residence; so if you do pay a visit; make sure you don’t worry those who live there! Next ›Your book blog needs you!! We were all very pleased that the great man has been honoured in this way!